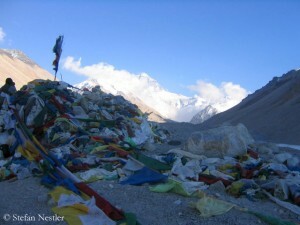 The end of Everest adventure? Twelve footfall pitches. 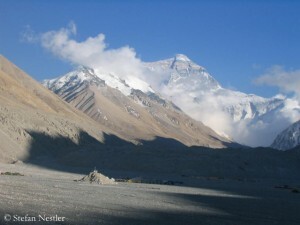 That’s the size of the new mountaineering center, which the Chinese want to build on the Tibetan side of Mount Everest. According to the state newspaper “China Daily” the giant complex in the town of Gangkar, also known as Old Tingri, by the year 2019 is to be completed in 2019. The site is located about 60 kilometers northwest of Everest, on the travel route of expeditions that head to the highest mountain on earth. According to the “China Daily”, the mountaineering center will cost more than 100 million yuan (13.7 million euros). Accomodation and restaurants for mountaineers are planned, furthermore a helicopter rescue base, offices for expedition operators, repair shops for cars, motorcycles and bicycles as well as a mountaineering museum. The mountaineering scene is discussing the project on social media. Some see no less than the downfall of adventure on Everest. The Everest north side “will turn into a Chinese Disneyland,” says one. Another believes that a chair lift to the summit is only a matter of time. 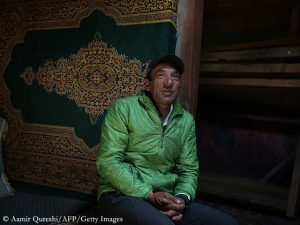 Dominik Mueller, head of German expedition operator Amical Alpin, doesn’t see why there should be outrage. Similarly, Adrian Ballinger, head of US operator Alpenglow Expeditions, commented via Instagram a few weeks ago: “It is still nice to know there is rapid evacuation when the unexpected occurs. It’s also another real step in the Chinese/Tibetan commitment to the mountain and the importance of well managed climbing. 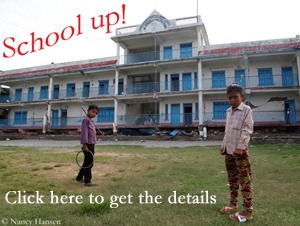 Stoked!” Since 2015, Ballinger has been offering only Everest expeditions on the Tibetan north side of the mountain. Commercial mountaineering has become popular in China by now. Large expedition groups from the “Middle Kingdom” are seen on the eight-thousander in Tibet – last September Billi Bierling told me about a Tibetan-Chinese expedition on Cho Oyu with about 150 (!) 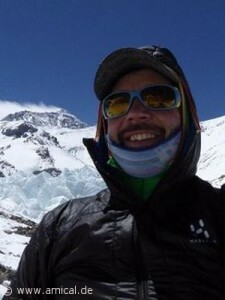 members – as well as on the highest mountains of Nepal. The leaders in China have recognized that mountain tourism and mountain sports make money, especially, of course, on the highest of all mountains. Mount Everest – like all prestige mountains around the world – sells well, not just in the west, and not just to climbers. As early as 2005, I saw Chinese tourists with breathing masks, who were taken by horse-drawn carriages from Rongbuk Monastery to Chinese Base Camp. “You can not turn the wheel back,” believes Dominik Mueller, head of Amical. “In the future there will be even more day trippers due to the good and easy accessibility of the Base Camp.” The question remains whether a mountaineering center near Everest must really have the size of twelve football pitches. 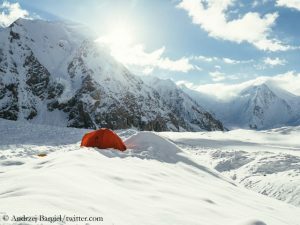 A short snowfall break in the Karakoram – or, as Felix Berg describes it from Gasherbrum II with a twinkle in his eye “a small good-weather disturbance”. Time for the climbers to stuck their noses into the wind and to reconsider their plans.